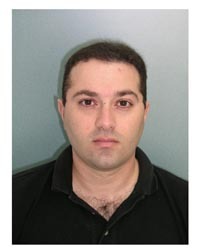 2004-2012 שיקום הפה באמצעות שתלים דנטאליים, המרכז להשתלות דנטאליות, בית הספר לרפואת שיניים, האוניברסיטה העברית, ירושלים. Oct;11(10):674-677. Epub 2003 Jul 18. Endoscopic root canal treatment. Moshonov J, Michaeli E, Nahlieli O.
Michaeli E, Casap N. J Oral Maxillofac Surg. 2011 Jan;69(1):186-91. Tissue Engineering. Spring 2012 Volume 2, Issue 1 Pages: 44–49. On the edge between medicine and dentistry: review of the dentist's role in the diagnosis and treatment of snoring and sleep apnea. Haviv Y, Benoliel R, BacharG, Michaeli E. Quintessence Int. 2014 Apr;45(4):345-53. A 2-year mean follow-up of oral appliance therapy for severe obstructive sleep apnea; a cohort study. Haviv Y, Bachar G, Aframian DJ, Almoznino G, Michaeli E, Benoliel R. Oral Dis. 2014 Sep 10. Michaeli, Yaron Haviv. Harefua. August 2016 Vol.155(8):506-509. Casap N. Quintessence Int. 2016;47(8):669-75. doi: 10.3290/j.qi.a36328.